The Aesthetics of Composition in Abstract Painting: Artwork of the month: Judith. 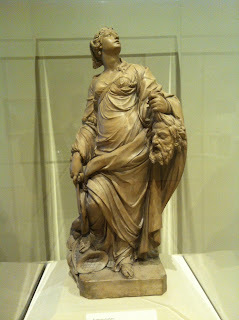 Artwork of the month: Judith. 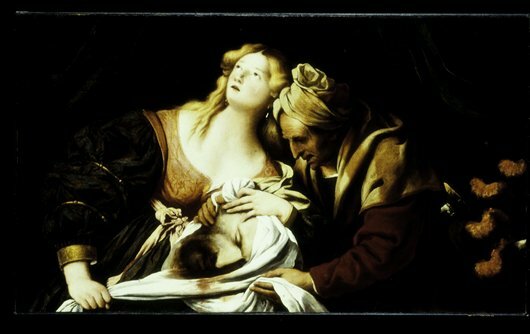 There was a time when the subject of "Judith" was a popular trend for artists to work on. The character Judith is a heroine, the savior of her people as a result of her own sacrifice and belief in the Hebrew god. Judith is a beautiful woman, widowed and del reliant. Her anger with her people over their mistrust that God will deliver them from the coming invaders army, she sets off with her maid to take maters in her own hands. She promises the general of the Assyrians information on the Israelites, gets him drunk seducing him with her beauty. When Holofernes passes out Judith cuts his head off and sneaks out of camp with it. the assyrian army is demoralized and disbands not attacking the Israelites. Judith is a hero. The book of Judith is not in the Hebrew bible and as a result it is excluded from the Protestant scriptures. 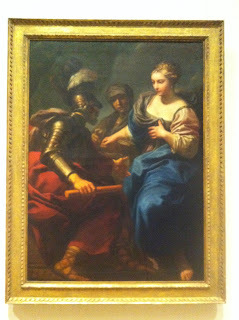 The Catholic church has always maintained the the book of Judith is the word of god and can not be excluded. 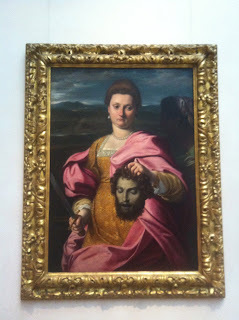 The character Judith is a powerful archetype that has been played over and over again. 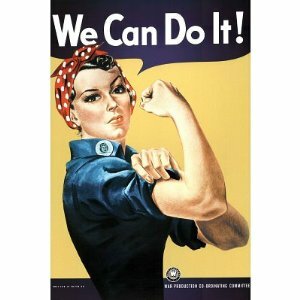 I would even consider Rosy the Riveter to fall into the same archetype as Judith. A strong willed, self-reliant, powerfully intelligent god fearing woman, and a patriot. The Archetype is common throughout history and used as propaganda when needed to inspire a nation. 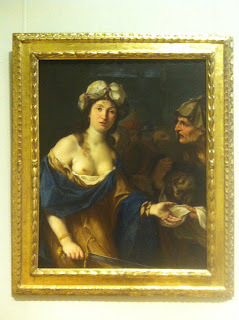 Judith has been a very popular subject for artists. 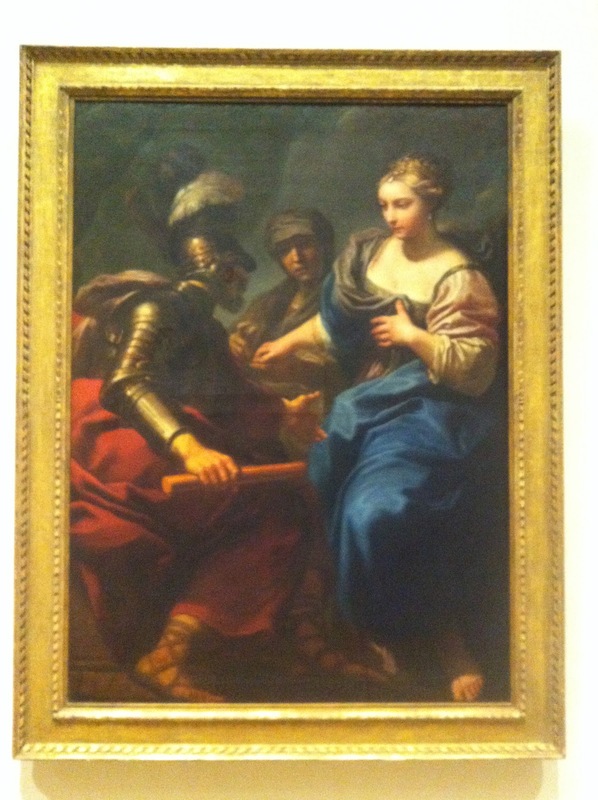 The Minneapolis Institute of arts has over 20 "Judith" works in its permanent collection. 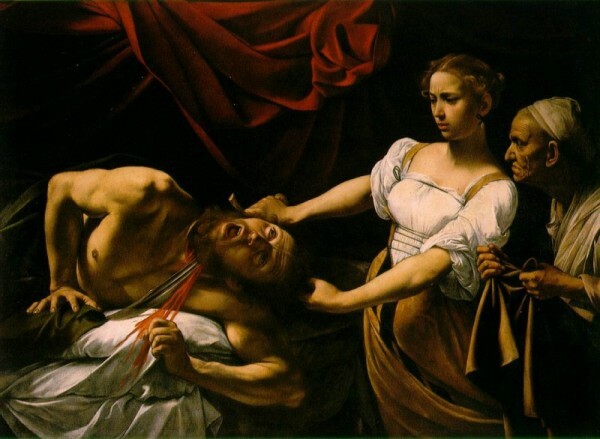 "Portrait of a woman as Judith"
"Judith presenting herself to Holofernes"
There are hundreds of works featuring Judith, but none of them have the impact as Caravaggio's "Judith beheading Holofernes" as it is and always has been the masterwork about Judith. This painting is a perfect harmony of brutality and beauty. This painting is at the National gallery of ancient art of Barbarini Palace. ...It will be abstract, but you will know it.